In 14 century the formal process called ‘denization‘ was developed, by which an immigrant could renounce allegiance to their former ruler and be given all the rights of an English-born subject. Due to the costs involved, denization was only available to prosperous and influential immigrants: craftsmen, merchants, clergymen, landholders, etc. Therefore the process omitted a huge part of the immigrants, the little people who were much more numerous and more widely dispersed. Alice Spynner, an Irish woman living and working in England, was assessed for the tax on resident aliens at Narborough in Leicestershire in 1440. Alice’s occupation is evident from her surname. She was a spinner of wool, a job that was vital to the prosperity of the emergent English cloth industry. Many of Alice’s compatriots made their way into south-western and north-western England, though fewer Irish people are found in the east Midlands. 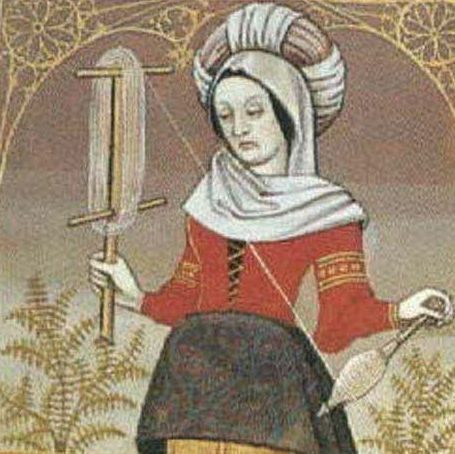 She provides a reminder of the importance of women in England’s late medieval economy, indeed, her own trade made a word ‘spinster’ a synonym for the single, independent woman. William Pulayn was a chaplain working in the rural parish of Sledmere in the east Riding of Yorkshire in 1440, where the local jurors identified him as a Scot. Since Scotland was a separate kingdom, and often at war with England, those born there were consistently treated as aliens by the English state. 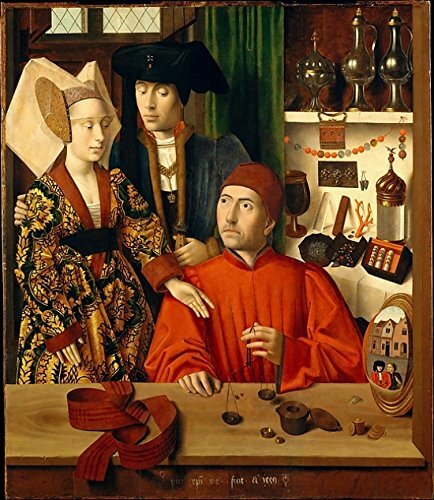 Chaplains were jobbing priests who made a living by saying masses; other foreign chaplains in the tax records of 1440 included confessors and schoolmasters employed in gentry households. William was among his own kind: Scots were the largest minority group in the north of England. Benedict Nicoll is one of the few people specifically identified by the tax records of 1440 as coming from Sweden. He and five others, including a Magnus and an Olaf, are described as staying with the University of Cambridge. Medieval seats of higher learning were always international in their membership and influence, but those who were full members of the universities of Oxford and Cambridge generally enjoyed exemption from taxation. Whatever Benedict’s status and purpose in Cambridge, he was evidently only a temporary resident, for he had disappeared from the record by the time the second instalment of the 1440 tax was collected. John Danyell was from Holland, in the modern Netherlands, and appeared in England in 1440 as a painter living in the city of Lincoln. 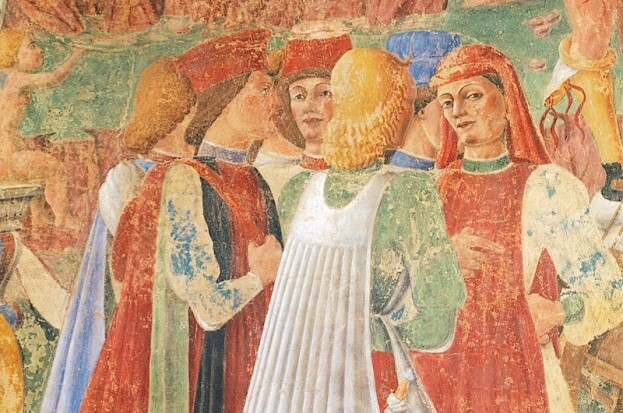 The occupation of painter had the same ambiguity in the 15th century as it does today: it could mean a house-painter, or a maker of fine art. John’s presence in one of the most important cathedral cities of England is a vital clue to the patronage of artists from the Low Countries and of their influence on the northern Renaissance. People with a surname ‘Danyell’ can be found in the records with various nationalities – Hollanders, Venetians, French, Scots and Normans. Alexander Plaustrell, or Palastrelli, was a prominent Italian merchant living in London in the mid-15th century. Originally from Piacenza, he had trading connections across northern Italy, including in Lucca and Genoa. His house was in the Board Street area of London. In 1456, at a moment of high tension, he was physically assaulted in an affray at Cheapside, and the episode set off a series of attacks on Italians across the city. It provides us with one of many examples of the tensions between native Londoners and their international business rivals, as well as showing the readiness with which London mobs could target the foreigners in their midst.